No Surcharge on all ACC Scans, FREE Pregnancy Scans* and the most Affordable Rates for general ultrasound in the Waikato. * Limits and exceptions apply. Please Note: To be eligible for maternity or ACC funding, you must have a referral form provided to you by a medical practitioner. More Info. The Ultrasound Clinic is located in Hamilton, New Zealand. Our experienced staff offer professional, high quality ultrasound services at competitive prices. We offer a large range of ultrasound scans including obstetric, musculoskeletal, vascular, and general scans. We're comitted to being Waikato's most affordable Ultrasound Provider. Most pregnancy scans performed during normal business hours are FREE. Some exclusions and limits apply. Read More. We don't surcharge any ACC funded ultrasound scans. Read More. We're an affliated healthcare provider for Southern Cross Health Society Read More. We are open Saturday morning and evening appointments are available on Tuesday View Our Opening Hours. 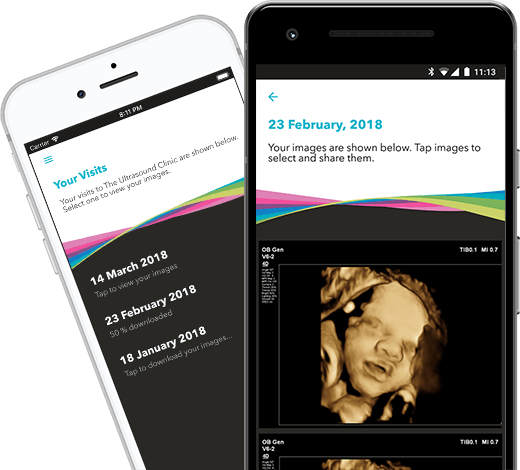 View & Share your ultrasound images using the My Scans App Read More.